It started out small: peplum shirts, peplum skirts, then flutter sleeves and tousled tops. And now ruffles are trending at full speed. Especially a certain style of ruffle top: the baby blue ruffle top with white stripes. Have you seen it? You must’ve had. From Mulberry and Michael Kors, to Zara and TopShop, all the designers are on it, we have the high street offers and the low end alternatives. 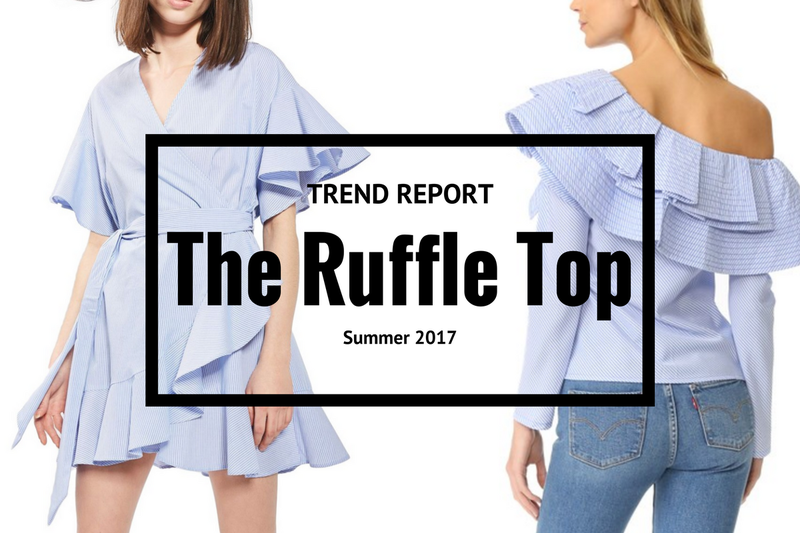 This first is the classic version of the baby blue ruffle top. The fit is perfect for any bottoms, such as light washed denim shorts, white pants or a textured mini-skirt. Shop · Stylekeeper One-Shoulder Ruffle Top – Sale! Third on our list, the romantic off-shoulder ruffle blouse. Great for elongating your torso and revealing a beautiful neckline. Next ruffle top is more focused on the sleeves, and make up for a good added accessory. Also, the high-low trim balances the volumes of this blouse. Number five, the classic wrap dress. 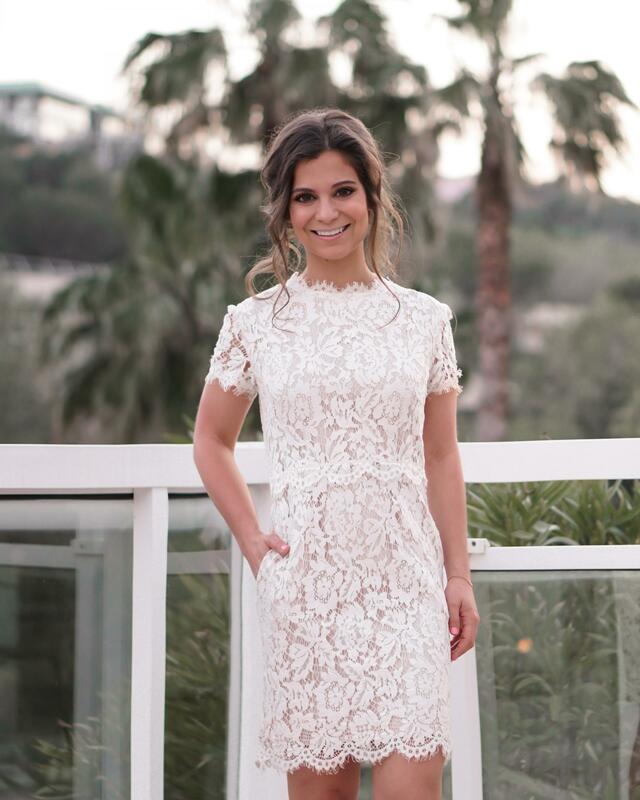 This dress shape fits and flatters every single body type, regardless of the ruffles. Perfect for a preppy weekly brunch, a daytime date or a romantic picnic. Last, the statement piece. This ruffle coat does all the talking and is the centre of attention. The perfectly symmetric ruffle along the waist pleases the eyes, and the spot-on shade of scarlet red leaves no room to any doubts. I know this was posted about a year ago but I feel like it’s still such a trendy item! Funny how some trends stick around!